I went to High Fashion Fabrics with my new friend, Sarah from Sew Crafty, last week to lay our hands on some lovely fabric. 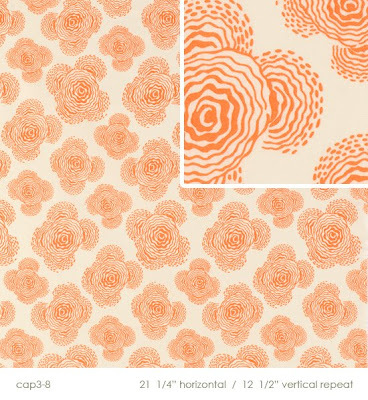 I picked up two Amy Butler fabrics to make my Amy Butler Blue Sky honeymoon hat. I got the top fabric for the outer layer and the bottom one for the inner layer. With those two fabrics, the pattern, the canvas to give the hat some sturdiness, and coordinating thread, I spent about $50. In this case, going handmade is not going to save me money. Oh well. It will be fun to make it (assuming it turns out okay! ), and the hat will forever have special meaning. I'm not letting myself start the project until I clean my craft/office. It's a disaster zone. I LOVE LOVE LOVE THAT FABRIC STORE!!!! And their one across the street that has all their home fashion fabrics and stuff! 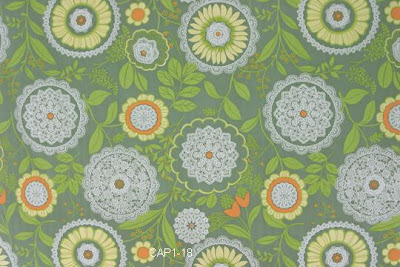 I love Amy Butler fabrics. I just bought 9 quarter yard samples last week because I couldn't make up my mind! Gorgeous fabrics! I can't wait to see how your hat turns out. You are inspiring me to learn how to sew! I can't wait to see the finished hat!! And Hight Fashion was so much fun - thank you for inviting me!